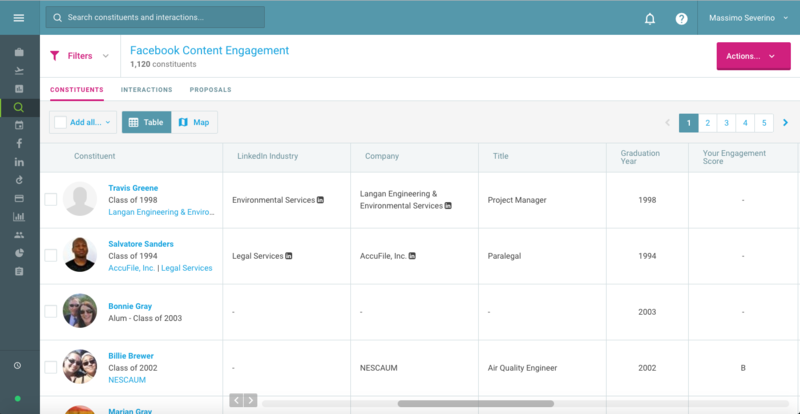 Tactic: Use keyword searches and social data to find prospects who have mentioned specific interests or engaged with online content related to upcoming initiatives. If you are importing interactions or contact reports into EverTrue, you can run keyword searches on interactions. Use the “Interaction Content” filter to find specific keywords like STEM, theater, or scholarships. You can do the same keyword search for people who have interacted with Facebook posts on other topics. Use the “Facebook Content Engagement” filter to find constituents who have interacted with posts containing relevant keywords, then save the search results to a list for further review. 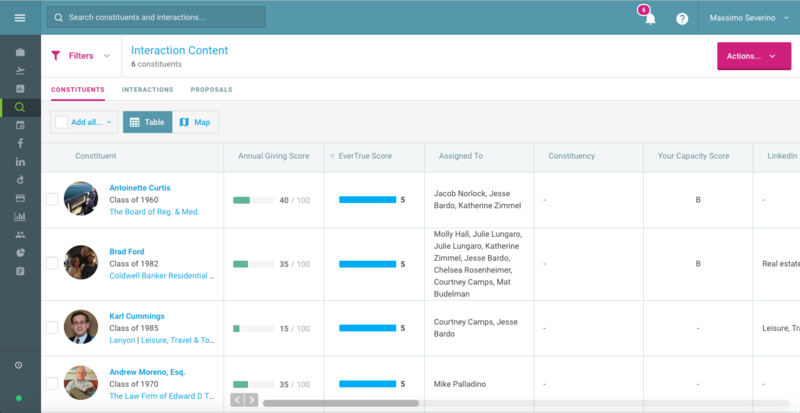 Bonus: You can also use the search bar to look for keywords in historical contact reports, surfacing donors with a known interests to build campaign pipeline. Results: Create lists of alumni, parents, and friends who have indicated an inclination to support an upcoming campaign or initiative.